What caused the City of Waukesha to ask for permission to switch its water supply to Lake Michigan? Q: Where is Waukesha and who lives there? Q: Why does Waukesha need Great Lakes water? Q: What caused the depletion of Waukesha’s water supply? Q: Why wouldn’t Waukesha just install new treatment systems for its radium issue? Q: Would more water conservation programs prevent the need for Great Lakes water? Q: Will Waukesha use Lake Michigan water to fuel the development of new homes or businesses? What impact will Waukesha's New Water Program have on the Great Lakes basin? Q: Who will be selling water to Waukesha? Q: Will the New Water Supply Program affect Great Lakes water levels? Q: How is the volume of return flow managed? Q: Who benefits now that Waukesha’s request has been approved? Q: Is Waukesha a precedent for hundreds of additional diversions? Q: How will Waukesha's New Water Program affect me? What will the City of Waukesha's return flow mean for the Root River? Q: Will Waukesha’s return flow harm water quality in the Root River? Q: What will the impact be on fish in the Root River? Q: Is there a risk of untreated or partially treated wastewater from Waukesha ending up in Lake Michigan or the Root River? Q: Is it unusual for a municipality to discharge to a river? Are there other important details I should know about? Q: When is the project expected to be completed? Q: Where will the pipeline be routed? Q: How will the project be paid for, and will it affect my water bill? Q: As a Waukesha resident, what changes can I expect with the new water? 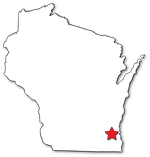 Q: Will Waukesha residents still need their water softeners after the changeover? Q: How will the new water taste? Q: Where can I find more information about the program?